When you buy a smallcase, the index value of the same is set to 100 on the buy day for easy tracking. 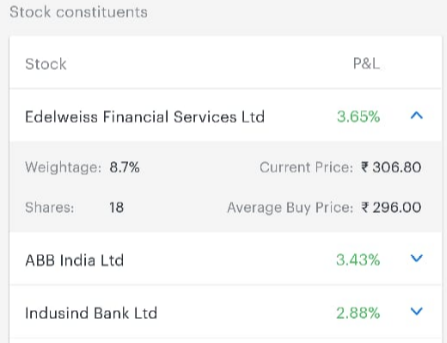 The index value helps you track the total P&L% of the smallcase without having to monitor each stock. Also, the individual stocks in the smallcase along with the no. of shares and weightage are displayed under Stock Constituents. 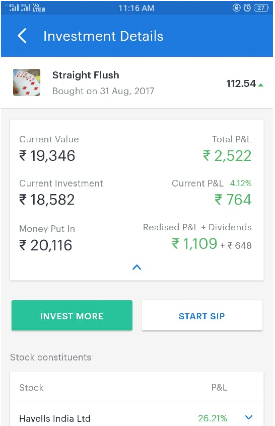 By tapping on the arrow at the right, you can view stock specific weightage, shares, current price and avg buy price. 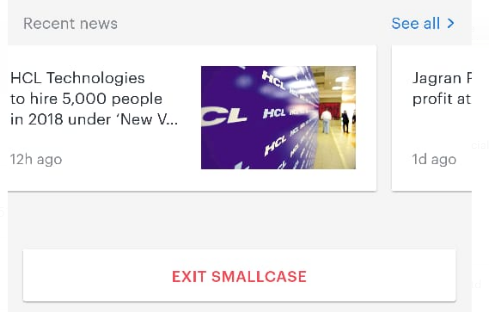 smallcases are based on ideas, events and news around you. The news relevant to your smallcase’s theme and the stocks are displayed under Recent News. As you scroll down, below to the Stock Constituents you will see the News articles relevant to that smallcase.  Tap on an article to read more.